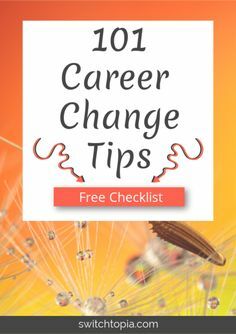 The ULTIMATE List of Animal Careers – 50 Animal Career Ideas To Explore! 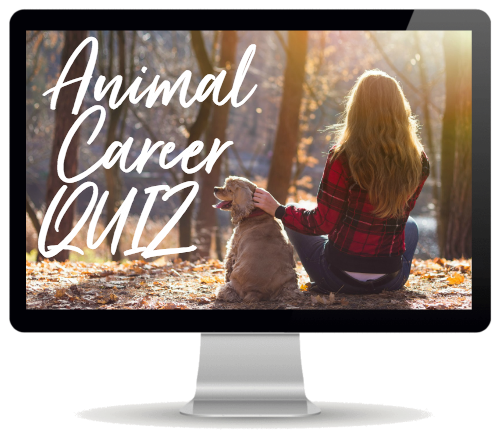 Are you struggling to think of Animal Career Ideas? I use to be the same. As a teenager, the only animal careers that I knew about were as a VETERINARIAN, VET NURSE, or DOG GROOMER! 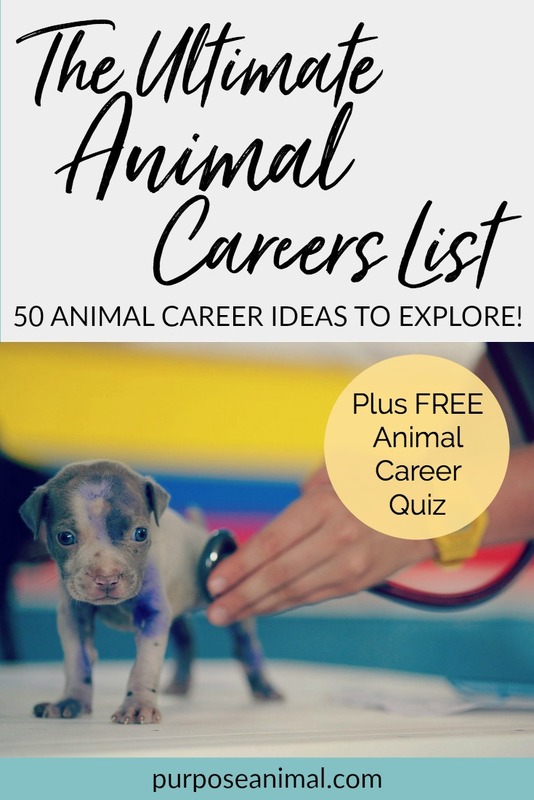 So I’ve compiled this ULTIMATE ANIMAL CAREERS LIST which includes 50 Animal Career Ideas for you to EXPLORE! 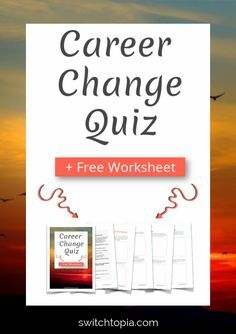 Once you have checked out the list, be sure to try my FREE ANIMAL CAREER QUIZ! The Ultimate ANIMAL CAREERS LIST! Veterinary Medical Laboratory Technician This career involves testing blood, faeces and other bodily fluids for microbes, parasites, biochemistry and genetic disorders. Blogger Another big opportunity here. The important decision here would be what your niche would be. Check out the pet blogger awards for some cool ideas. Pet Adoption Counsellor Help match pets available for adoption, with their perfect human caregiver so they get to find their forever home. Entomologist An entomologist studies insects so a deep interest in bugs would be necessary. Habitat Specialist Fancy designing zoo enclosures or habitats for sanctuaries? Pet Groomer Making pets beautiful is a booming industry nowadays. Work for a business, start your own, or even run a mobile grooming business. Animal Shelter Worker Care for the homeless animals until they find their forever home. Zoo Keeper Tend to and care for the animals in a zoo. Work for a smaller zoo and care for many species, or work for a larger zoo and specialise in a particular species. Pet Nutrition Specialist Give pet owners dieting tips (for their pets!) or work for a pet food company formulating improved recipes. You could even focus on herbal nutrition for health. Crafter Head over to Etsy and see the wonderful animal-themed creations on offer. Also check out this post if your doubting mind is not convinced you could make a living. Pet Party Planner Plan parties for pets – what fun! I see this one as a growing industry. Online Pet Supplies Open an online store selling pet supplies. Your niche may be important here in order to stand out from the big companies. Tutus for pigs, Hats for ferrets, nappies for incontinent pets…..
Pet Memorial Jewelry Maker Losing our fur-babies is a very hard process. We want to honour our pets and a beautiful piece of personalised jewellery is a wonderful way to do that. Dog Trainer This could involve dog obedience training, police dog training or even guide dog training. Many routes that would suit introverts. Graphic Designer We all know that graphic design is a booming industry as more and more websites are created daily. Options here could include working for a company or going freelance. Software Engineer Again a booming industry where you could work for a company or go freelance. Ideas here could include designing apps or marketing software for vet clinics. Pet Grief Counsellor Provide grief counselling for pet lovers. This can be done online from anywhere in the world. Be the support person that helps them grieve completely. Pet Portrait Artist Draw, paint, or sculpt custom pet portraits for pet lovers. Head to Esty for inspiration. Pet Health Educator Educate the public or individuals about dog/cat/horse health. Provide one-on-one services, create online courses for a particular market or write pet health articles for websites. Dog Massage Therapist Provide massage services for dogs. Work for a business, or start your own business. Pet Energy Healer If you are spiritually minded, provide energy healing for animals, pets or species via the many different healing modalities available. Animal Rights Activist Be the voice for animals. Work for a particular cause or a particular organisation to bring about positive change for animals. Equine-Assisted Therapist This involve a range of activities involving horses, which aim to heal and assist mentally or physically impaired individuals. This is increasing in popularity, particularly in the area of PTSD (Post Traumatic Stress Disorder) in veterans/military officers.Well – what do you think??? 26. Pet Photographer Capture pets through photography. This could include pet portraits for individual clients, animal rescue photography, or selling your images online as stock photography. 27. Guide Dog Trainer Train guide dogs so they are ready to assist an eye-sight impaired person live a full life. 28. Animal Welfare Officer If you have an appreciation for law and order you may like to ensure animals are treated humanely and with respect. Work with the general population or specialise in a particular animal industry that you feel passionately about. 29. Animal Physical Therapist Animal physical therapists provide rehabilitative care to animals who have had surgery, been injured or suffer from chronic pain. Techniques used can include exercise rehabilitation, aquatic therapy, massage, ultrasound therapy, heat therapy, passive range of motion activity, neuromuscular stimulation and cryotherapy, etc. 31. Fund Raiser/Marketer for Zoos or Animal Rescues. Raise money for animal charities. Or work as a marketer for zoos & animal rescues to raise their brand awareness. 33. Wildlife Rehabilitator Did you always rescue stray animals as a child? Perhaps working for a non-profit or government agency may be an option for you. 34. Animal Behaviorist Fascinated by why animals behave the way they do? Always watching nature documentaries? Perhaps you have a particular animal you have always been fascinated with. Think Jane Goodall. 35. Drug Dog Handler Combine your love of law and order with the ability to work directly with a drug dog. This work could include working at airports, border patrols, or on drug raids. 36. Animal Welfare Lawyer/Attorney/Judge Become a lawyer/attorney/judge that specialises in animal cruelty cases or animal protection laws. 37. Animal Prosthetics Designer Design limb prosthetics for disabled animals or pets. 38. Zoo Director Lead the management team of a zoo by overseeing zoo operations including animal and personnel management, facility maintenance, and development. 39. Manager of a Pet Motel Manage or oversee the running of a pet motel or boarding kennel. This could also apply to a pet spa or grooming salon. 40. Law Enforcement Canine Officer Become a police officer who works along side a canine working dog. Duties may include drug detection, search and rescue, tracking criminals, crime scene investigations, etc. 41. Pet/Animal Business Administrator Work as a receptionist, assistant, financial officer, legal aid, social media manager, marketing administrator in any pet or animal industry. 42. Zoologist A scientist that specialised in zoology. Study the behaviour of a particular species, the environmental impact on wildlife, or how long a sloth takes to pass their poo! 43. Animal Chiropractor Specialise in the veterinary field as an animal chiropractor where you focus on neuromuscular disorders and the spine. 44. Marketer for Pet/Animal Business Help businesses with their marketing so they can reach a wider audience. Online marketing is a big growth area and you can work from home! 45. Veterinary Radiologist Specialise in the veterinary field as an animal imaging specialist who conducts X-rays. Ultrasounds and CT scans, etc. 46. Animal Behaviourist Study the behaviour of a particular species or work one-on-one with dogs, pets etc to improve their behaviour. 47. Bomb Dog Handler Bomb dog handlers partner with trained dogs to locate explosives, firearms or bomb-making materials. 48. Veterinary Anaesthesiologist Specialise in the veterinary field as an anaesthesiologist who put animals under general anaesthetic during surgery and then monitors their vital signs. 49. Pet Cremation Work for a pet crematorium or open your own pet cremation business. 50. Pet Insurance Agent Sell pet health insurance to pet lovers. Work from home and hang out with your pets all day! Well – what do you think??? Are you surprised by how BIG the list is? 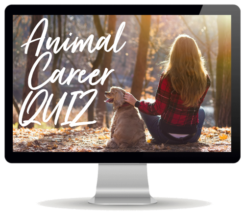 You will receive a CUSTOM REPORT listing the TOP 20 ANIMAL CAREERS that suit YOUR personality! Disclaimer: Please note I am not affiliated with any of the websites linked in this article. I can not guarantee the information provided. They are only to be used as prompts for further investigation and research.